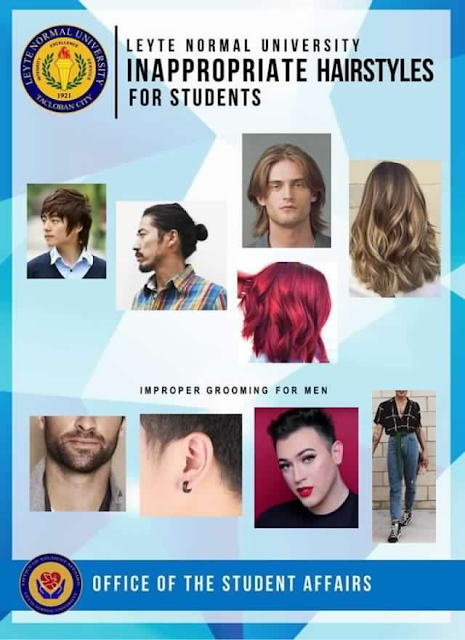 Two international beauty bloggers was offended by the Leyte Normal University poster shared on Facebook recently using their photos as examples of improper grooming for men. Bretman Rock Sacayanan or Bretman Rock and Manny Gutierrez or Manny MUA questioned the post on separate posts on Twitter which has been deleted later. The Ilocos born and raised in Hawaii, Bretman posted a screenshot of the deleted post on Twitter and questioned in a mocking remarks, how an outfit can affect the learning of students? First of all, my outfit is so cute... and second of all how will wearing that affect a students learning, and why that picture I have cuter lewks lol pic.twitter.com. The 20-year-old vlogger features makeup tutorials and funny moments with his sister and niece on his channel. However, netizens react on the discriminating poster of the school. See thats the thing, this tweet raised mayhem because it is being critizised by different point of views internationally, the sad part? Its not just this University. MOST, if not All Universities and Colleges in the Philippines follow the exact same guidelines. It's sad but every school does this in the Philippines, my hair was cut without my permission during an exam, it wasn't even that long it's just about to cover up my ears, with shame , i walk out of school because my hair was uneven and everyone was laughing.